Most business property owners choose to invest in commercial low slope roofing instead of the steep slope system that is commonly used in homes. That is because low slope roofs provide more usable working space, increasing room below the roof and also allow an additional floor on the top. For commercial low slope roofing systems to perform well, these must be installed by experienced professionals. Improper installation or use of wrong materials can result in frequent roof leaks and even cause premature roof replacement. 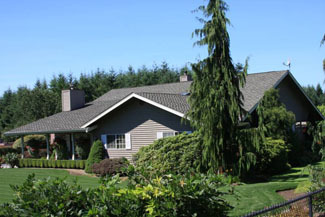 Give Johnson Exteriors, Inc. a call when you need commercial low slope roofing installation services in Tukwila, WA. Our roofing company specializes in working on all types of low slope roof treatments and can handle any commercial low slope roofing installation job, big or small. 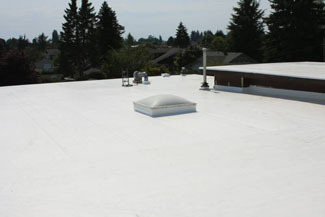 There are several techniques for installing commercial low slope roofing. You can get single ply membrane roofing, standing seam roofing, built-up roofing or torch-down roofing. Our company is equipped to install all commercial single ply roofing types, including TPO, PVC and EPDM roofs. Whichever of these you call us to install, count on us to give you a highly efficient commercial single ply roofing system that lasts for decades to come. Call us for more commercial roofing information. We pride ourselves on being an ethical, service-oriented company. We help our customers weigh the pros and cons of commercial single ply roofing types before zeroing in on which one they would prefer. After that, we keep them in the loop throughout the installation of the single ply roofing systems on their Tukwila commercial properties. Our company is known for delivering highly efficient, professional and customer-friendly services. 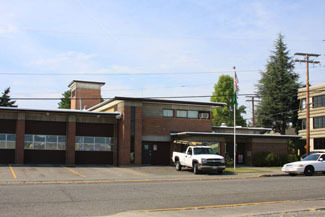 Dial (360) 226-2521 to hire the experts at Johnson Exteriors, Inc. for the installation of commercial single ply roofing systems in Tukwila.